This comfortable, two bedroom apartment in Barcelona is located in the cool Poblenou area of the city, just steps from Poblenou metro station. This area of town is ideal for soaking up all the Catalonian culture from eating at lovely local restaurants to visiting attractions just a few metro stops away. What’s more, the beach is only a short walk from this cozy apartment. There are 2 bedrooms, one with a double bed, the other with two single beds, allowing the apartment to sleep up to five people comfortably. The fully equipped kitchen is ideal for preparing your favorite Catalan dishes. It comes with a microwave, a coffee maker, a toaster, an oven, a juicer, a kettle as well as pots and pans. There is also a hairdryer, bed linen, towels and air conditioning. 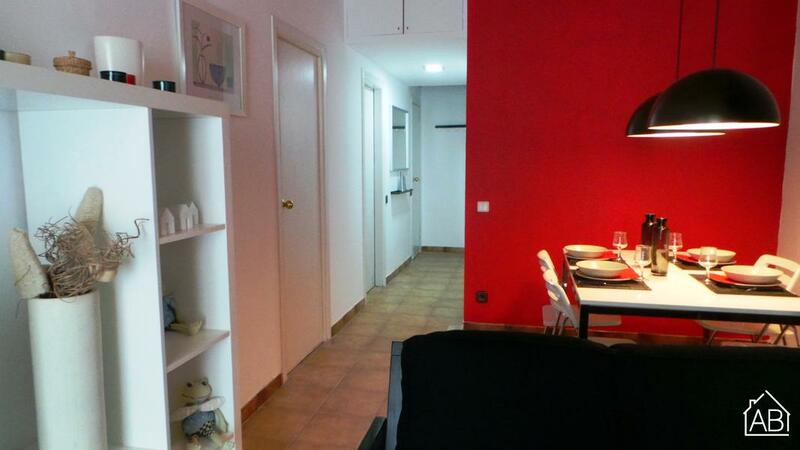 This lovely apartment is located in a fantastic area and is a comfortable choice for your stay in the Catalan capital.